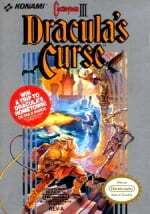 Dracula's Curse is one of the bonus titles - unlocked at $2500! 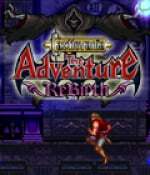 If the recent Castlevania: The Adventure ReBirth screens have whetted your appetite for all things vampire-related then you might want to point your browser in the direction of the SouthSideGamers website. The gaming group intends to play Castlevania games for 48 hours straight (and possibly longer) in order to raise money for Childs Play, a charity established by the guys behind Penny Arcade which aims to provide sick children with toys and games. 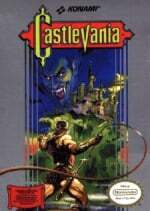 We'll be playing videogames from the Castlevania series starting on October 30, at 6:00 p.m. You'll be able to watch us live on this website, as we attempt to slay Dracula over and over again, all weekend long. The more money you donate, the more games we will have to play, the more sleep we will lose. We will play these games, in no particular order, for 48 hours straight from 6:00 p.m. on Friday October 30, until 6:00 p.m. on Sunday November 1. All the while, we hope to raise money from you, the viewer, to support the good work done by Child's Play. Our goal is to raise at least $500, but, if the viewing community is especially generous, things start to get really interesting. And boy, they aren't kidding. Various bonus titles are available which will be played if donations pass a certain point, with each donation "marker" potentially adding another 4 hours to the original 48. If they're able to raise $10,000, SouthSideGamers have promised to purchase a copy of the lamentable Castlevania Judgment and play it for the final 4 hours. Surely such self-sacrifice is worth a bit of your spare cash? You can donate securely via the SouthSideGamers page, so why not chip in a few coins and support a worthy cause? Why would we want to see them play Castlevania Judgement. 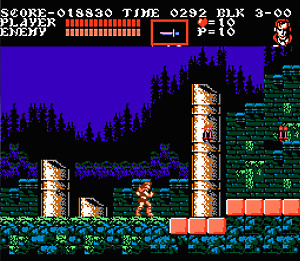 I'll try to remember this is going on as I've been playing a ton of Castlevania myself since the ReBirth announcement. Played Order of Ecclesia again, working on Harmony of Dissonance for the first time, and next I'll play either Circle of the Moon or Belmont's Revenge (both of which I have never played). Why would we want to see them play Circle of the Moon either? Actually I prefer Judgement to Harmony of Dissonance and Circle of the Moon. I find both of those games to be unplayable. At least I can burn off some anger by playing Judgement. It's certainly not an amazing game, but if you find it for $20, pick it up. What I want to know is why they don't have Rondo of Blood or Bloodlines on that list. 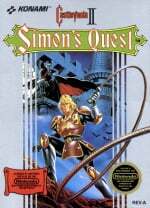 I mean, I'm a huge fan of Simon's Quest, but I'm pretty sure it would be more interesting for people to watch those two games being played than Castlevania II. 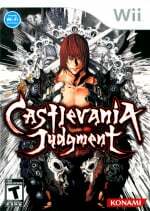 "lamentable Castlevania Judgment"? Oh shut up! That game is good! HARDKOREZ already trashed and hurted the sales. Why keep followin them? Hey this is Sean from Southsidegamers.com. In regards to the Rondo of Blood and Bloodlines comment above. We would love to include those games, however, I recently upgrade to the PSP Go and, unfortunately, there is no digital copy of The Dracula X Chronicles available. Also, my Sega has been out of commission for years so that kinda ruins the Bloodlines option. Personally those are two of my favorites from the series. If we find a way we will include them. P.S. Checked out your sites review section and I liked seeing the review of Dragon Quest V, one of the best games I've ever played. Well for the GBA games we are looking to use the Game Boy Advance Player peripheral for the GameCube. As for DS games we may have to point a camera at the playing screen.